Any audio source can be processed; the build in iTunes player, a DJ set, a mixing board, an instrument, vocals and (with Audiobus) any other audio app. Create your own combination of audio effects, and simultaneously control up to four effects using a single fingertip or use multi touch for auto dynamic sound effects. Make music with features that truly stand out from the crowd. 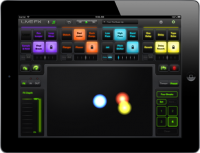 Introducing LiveFX for iPad; it’s sound control evolved to a whole new level. Twelve years ago, Korg introduced the Kaoss Pad. Now elephantcandy takes this a step further using the iPad and smart, ultra interactive software. This will create a whole new range of possible sounds and ways for the DJ/music scene to explore their creativity. 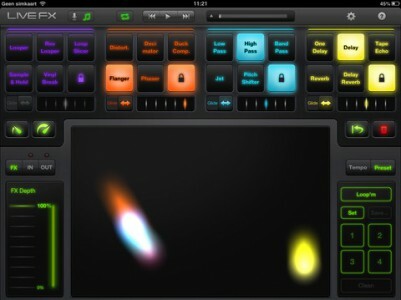 An iPad with LiveFX has become an instrument with no limits. 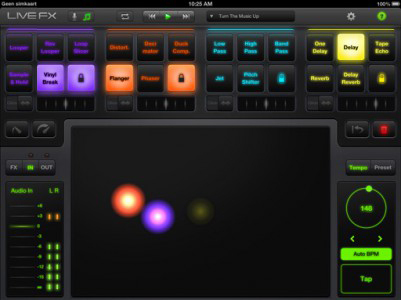 LiveFX makes the iPad – and Audiobus – a whole lot more interesting. 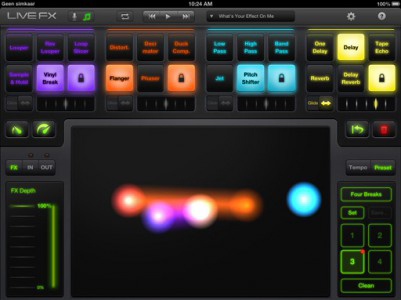 With Audiobus it is fantastic, creative, user friendly and fun. Thank you to the creators of this great app. 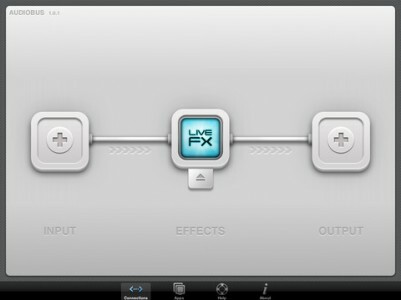 Do specify the version of LiveFX (which you can find under the settings menu), as well as the iOS version you are using.